Saving money on a new Infiniti in Orlando, FL is simple. The first step is to research the Car model of interest and identify any other vehicle of interest. You’ll receive Car price quotes from Orlando, FL Car dealers. Simply compare prices to find the best Car prices in Orlando, FL. At the heart of every sports coupe is its engine. 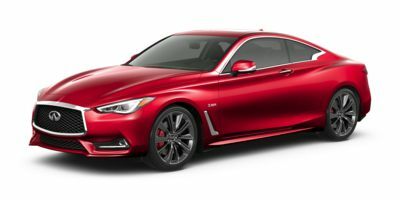 Infiniti offers the Q60 with a trio of different turbocharged engine choices. The 2.0t features a 208-horsepower 2.0L inline 4-cylinder engine, while 3.0t models utilize a twin-turbocharged 3.0L V6, which makes 300 horsepower. Top-of-the-line Red Sport 400 models also make use of the twin-turbocharged 3.0L V6, though output has been upped to an even 400 horsepower, providing extremely strong acceleration at any speed. No matter the engine choice, buyers will get a 7-speed automatic transmission sending power to either the rear wheels or to all-four wheels, as each trim level also has an all-wheel-drive version. The Infiniti Q60 comes in several trims. The two 2.0L trims are 2.0t Pure and 2.0t Luxe, both of which are available in both rear-wheel and all-wheel drive. The three 3.0L trims are 3.0t Luxe, 3.0t Sport and the Red Sport 400 which also offer all-wheel drive. Being a luxury coupe, even the base Pure models come generously equipped. Standard equipment includes 19-inch alloy wheels, LED fog lights, headlights and brake lights, remote keyless entry, push-button start, dual-zone automatic climate control, a sequential welcome lighting system, leatherette seating surfaces, 8-way power adjustable front seats, a leather wrapped steering wheel, satellite radio and not one, but two LCD touch screens, the upper one being 8 inches and the bottom one being nearly as large at 7 inches. Voice recognition, a rearview monitoring system, and an alarm are also included. The Luxe trim adds a 13-speaker Bose audio system, power moonroof, Homelink Universal Transceiver, and auto-dimming rearview mirror with integrated compass. The 3.0t Sport models build on the Luxe appointments and add unique 19-inch alloy wheels, sport brakes, a dynamic digital suspension, carbon fiber or silver optic interior trim, and semi-aniline leather seating. 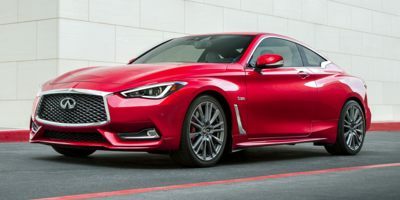 The Infiniti Q60 Red Sport 400 takes things to the next level. With 400 horsepower, the 400 Red Sport is a truly fast car, and plenty of exterior styling enhancements show off to the world just how serious the Red Sport is. It gets 20-inch wheels, upsized, red-painted brake calipers, red "S" badges and bigger exhaust tips. Inside, the Red Sport gets steering wheel-mounted paddle shifters, leather seats, carbon fiber trim, aluminum accents, and a power tilt and telescoping steering wheel. Like the 3.0t Sport, the Red Sport also comes with computer-controlled dynamic digital suspension, which should make the car handle on rails. 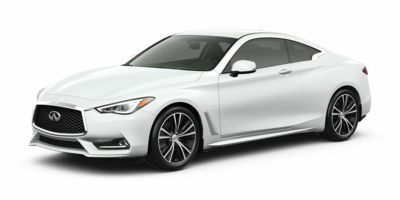 Safety features on the Q60 include a bevy of airbags, anti-lock brakes, traction control, stability control, and a brake assist system. Optional safety features include a backup collision intervention system, a blind-spot warning system, predictive forward collision warning and a lane departure warning system. Compare Orlando, FL Infiniti prices. 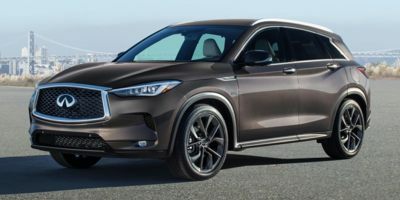 Get free price quotes for any Infiniti in Orlando, FL. See the invoice price, MSRP price, and clearance prices for all vehicles. Save big when Orlando, FL Infiniti dealerships compete on price. Compare Infiniti prices, pictures, reviews, local rebates and incentives, and more. View all used vehicles for sale in Orlando, FL. Compare used Infiniti vehicles and get the best deal in Orlando, FL. See prices, pictures, vehicle specs and everything you need to get the best deal on a used Infiniti. Bad credit auto loans and good credit auto loans for a new or used Infiniti in Orlando, FL. Compare current auto financing rates and get approved before you go to the dealership. We can get financing for nearly all new or used Infiniti buyers in Orlando, FL. Get a free auto loan quote today. Compare auto insurance rates from top lenders. Get the lowest monthly payment on a new or used Infiniti in Orlando, FL. With free Infiniti insurance quotes, you can save money regardless of driving history.